U r finding fault with horses? At least they KNOW their way around W/O using GPS units!!! How can u call urself a cabdriver??? We have no choice but to give them their space, just as we have to give space to busses. we have to understand that everything has a place in this world. We cannot, we should not feel bitter about that. they cannot sit in a sheltered vehicle when it rains, and when it's cold. they cannot get frustrated and push their horse to 60 miles per hour. 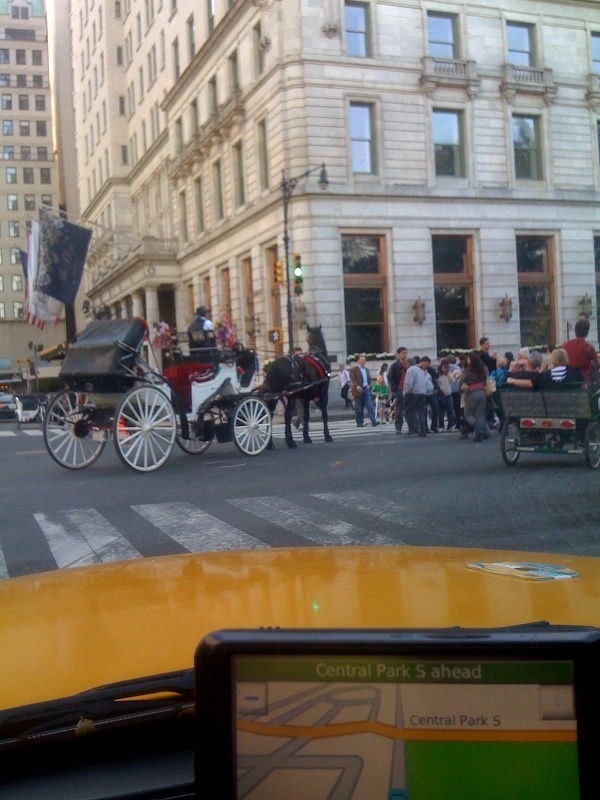 to compare horse and carriage drivers to taxi drivers is ridiculous. 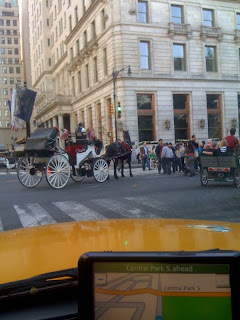 i like horses but these guys really dont care abt u or rite of way.